First it was 12 units. Then 11. Now it’s 9. Able Construction filed an application with the Planning & Zoning Department yesterday to build 9 units on the former Daybreak property, near Merritt Parkway Exit 42. As before, the units are 2,000 square feet, with 2 bedrooms. All will be restricted: The owner-occupant must be 55 years or older. One thing has changed. Plans now call for only one entrance and exit, on Weston Road. A cul-de-sac eliminates one of the reasons cited by neighbors in previous hearings: potential traffic hazards with an entrance on Main Street. Plans for the Daybreak property. Weston Road is at the top; Easton Road and Main Street run diagonally from the upper left. Able believes the market is there for Westporters who want to downsize from larger homes. Under current 1/2-acre zoning, builders could construct 4 houses, of a few thousand square feet and with several bedrooms. Or someone could propose an 8-30g project (multiple units, some of which are deemed affordable housing) on the site. Plans for a typical unit proposed for the former Daybreak property. This entry was posted in Local politics, Real estate, Transportation and tagged 500 Main Street, Able Construction, Daybreak property. Bookmark the permalink. Will the town leaders stand up and say something to support this project for our seniors. Many speak about downsizing so they can stay in Westport. Both candidates this past Novemeber for First Selectman spoke about the need, and one even talked about a location close to town. do relationships among a builder to town officials matter?? Richard-the relationship with our seniors and elected officials is needed. made by the P&Z. This solution is less intense than four traditional family homes, and certainly less intense than the previous retail use. It is also consistent with the town’s plan of conservation and development diversifying housing stock. Avi It is absolutely not consistent with The Town’s plan of development. There are to be NO cluster housing or 830g unless it can be tied to town sewer. There is no sewer there. It is out of the blue line. 75% of survey respondents agreed that Westport should have more housing choices for empty nesters. Additionally, it proposed “small scale developments in multiple areas” instead of large developments and ensure that the character of the neighborhoods is maintained. The proposed homes clearly fit that description. It is not an 8-30g type of project and really has nothing to do with sewer vs. septic. Note: The daybreak property IS within the blue line. 55 and over is an adult community. It is a disguise for a big profit squeezed into a high traffic congested road. The road is congested daily. We need affordable homes and housing for seniors. The risk reward ratio on this busy area is not worth it. We need a higher volume of units in a controlled traffic area. The stop and yield signs are a maze to outsiders and somwe insiders. NO. Kudos to Able for listening to the community and adjusting appropriately. More developers should take a page from their book. That intersection is not that bad if drivers would just use their signals. 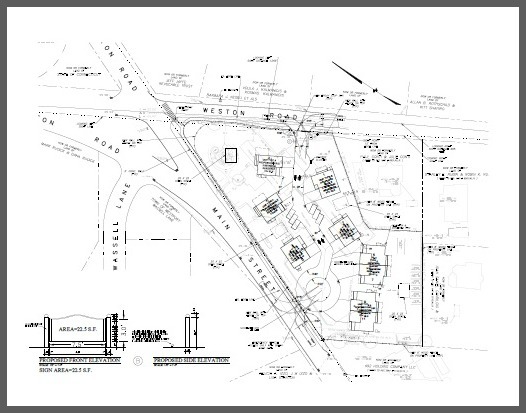 Senior housing should be at least 62 and no children.The one entrance and exit is somewhat better but will still back up the intersection am and pm.The intersection should be realigned first.It sounds like a gated community not affordable housing for seniors. It appears this builder has made a strong effort and has come up with a workable plan that will likely be better than any other future plan. In my view, this revised plan should be approved. My husband is over 55, and we have three school aged children. A 3rd Grader, a Kindergartener, and a preschooler who will soon enter public school. I suppose we, a family of 5, will easily qualify to purchase one of these homes. I know quiet a few parents over Age 55 with school aged children. Many couples are starting family later now. That said, this could become a cozy little family neighborhood. 55 is hardly senior. The age restriction does not exclude families with school aged children. I hope Able Construction will make sure the driveways are wide enough to accommodate multiple Westport school buses ,safely entering and exiting this new 11 home neighborhood. Emily, you need to read a bit more closely. They are 2-bedroom homes, and there are 9 homes, not 11. And the school bus can pick up your children outside the complex, like they do for every other child. Bart, the Special Ed bus does drop the child off in front of the child’s home. Unless the town can exclude families with children from entering this development, it is a blank canvas for all sorts of possibilities that are quiet real. Thanks for pointing that out. I would hope they use smaller buses and that would easily enter the complex. It is disheartening to read how many will find ways to fight a project that will benefit our seniors. You’d live in a 2 bedroom 2000 sq ft home with three kids? For the schools, people certainty would (and do) live in less than 2000 sq feet with 3 kids. Not that long ago an average home in the US was approx. 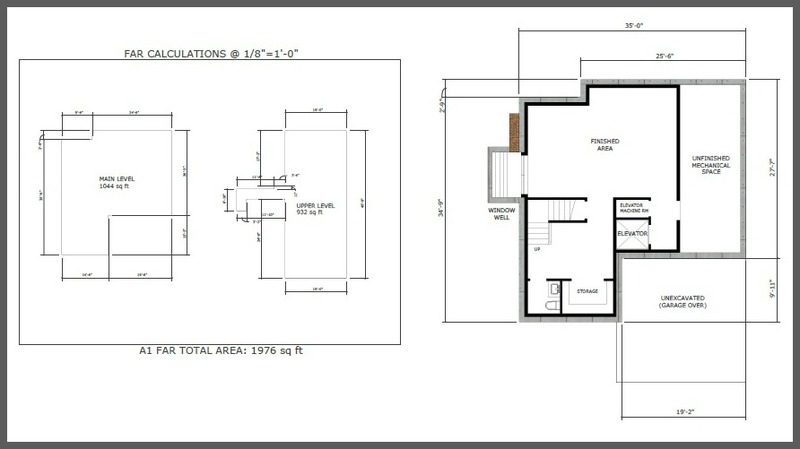 1600 sq feet. David, We DO currently in a 900 sq ft condo. It’s a 3B/2B though. In Westport. Four homes, each on a half acre, would be in keeping with the rest of the neighborhood in terms of land use/density. Then maybe we could drop this “downsizing senior” nonsense and just get on with it. Anca-just remember that a developer could buy this site and decide to build 8-30g housing which can legally build apartments that avoids almost every Westport zoning regulations. Just think of a 3 story multi unit apartment building with many more units. And if you think it can be stopped because you don’t like the intersection or traffic, think again. The developer would tie Westport in court to fight any attempt to stop them. I could be mistaken but I thought this is close to the Blue Line. Just want to confirm, you do not want to approve the project that will give seniors an opportunity to downsize. Anca. Many, many properties are 55 and over and known as senior living. Please feel free to debate the topic, if you want. The facts will set you free…. In case you can’t read it – the proposed site is WITHIN the BLUE LINE so everything that Bart has proposed can happen. Exactly, IF sewer is extended. For now, it is not. Blue line only means where sewer MIGHT be extended. Anca. So what do you want? A retail location? A gas station? Convenience store? 8-30g 3 story building with 30+ units? Or housing for our seniors? I vote for housing for our seniors. Why should this developer get to toss aside the rules and develop this area at twice the zoned density for their own profit? The neighborhood doesn’t want this, it’s not going to benefit seniors at this location or price point or less than senior age restriction, and it is not a safe place for clustered housing. Westport gains nothing by it and the developer makes a pile. Just two days ago, the RTM unanimously approved the sewer extension to Clinton Avenue, Fillow Street, Breezy Knoll, Richmondville Avenue, Sniffen Road, Loren Lane, Calumet Road, and Stone Drive. The Board of Selectmen initially approved this extension to 141 homes about a year ago. This will benefit all homes in the neighborhood, improve water quality, and will likely enhance home values. These are all within the blue line as well.